A 28-year-old, otherwise healthy woman presented after having experienced acute pain in the left arm and chest at work. Electrocardiography showed ST elevation in the inferior leads. In addition, blood troponin was elevated, leading to diagnosis of acute myocardial infarction. Delayed enhancement MRI revealed a small myocardial infarction of the inferior wall of the left ventricle. Conventional coronary angiography was normal, leading to the suspicion of an embolic cause of the infarction. 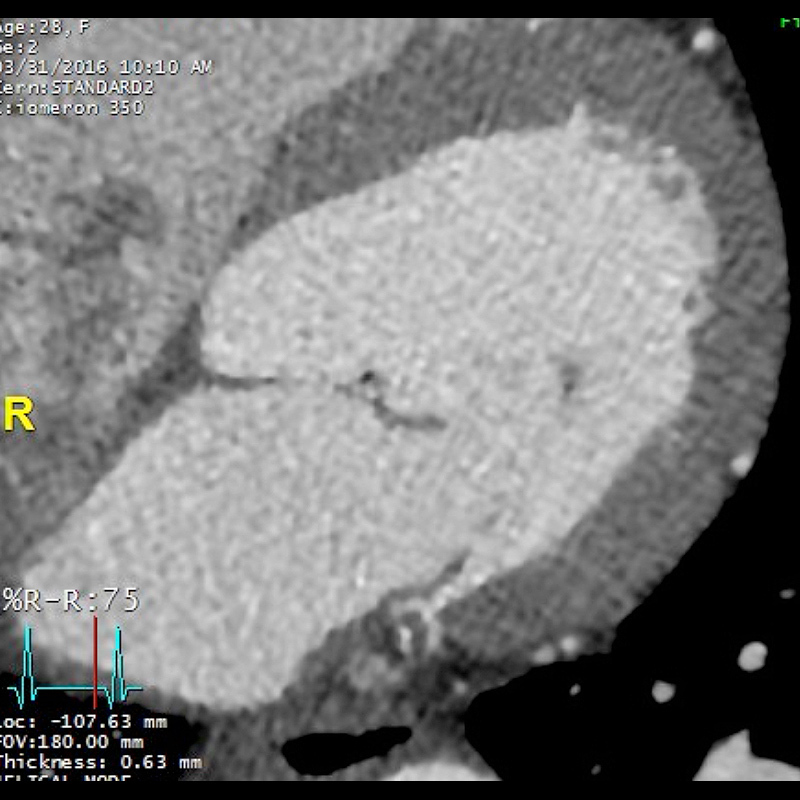 ECG-gated contrast-enhanced cardiac CT was performed for further exploration.